When you think of Easter what is the first treat that comes to mind? For me it is peeps. It seems like even though I don’t even like these little marshmallow birds I always seem to buy at least a package or two every year. Then they end up sitting in my cupboard for a couple of months before I finally decide to throw them out, but not this year. 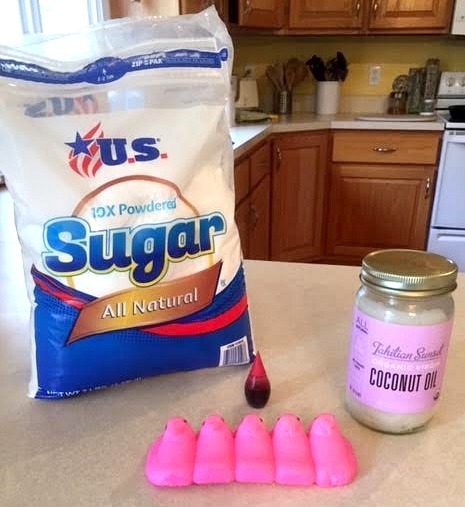 This year I found a fun way to use my leftover peeps that was fun and delicious. 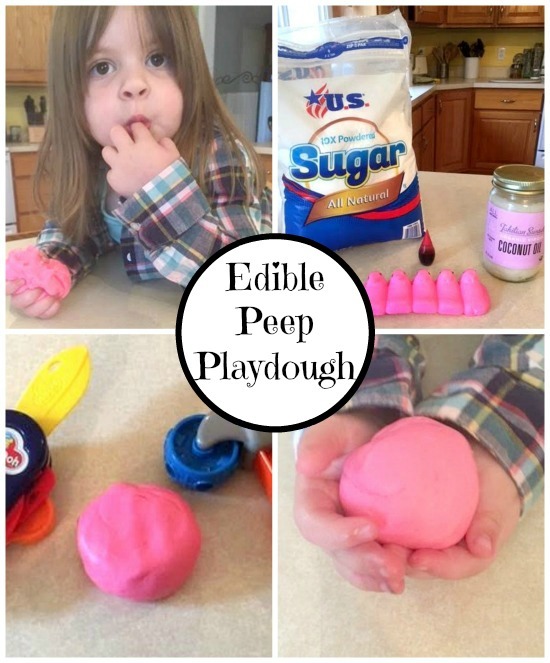 Yes, we made edible peep playdough! 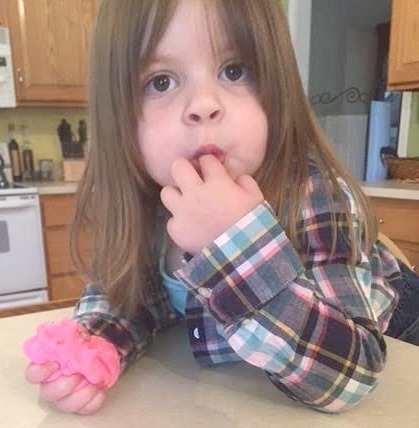 I did not even know this was a thing but it ended up being good playdough and a fun little snack. 1. 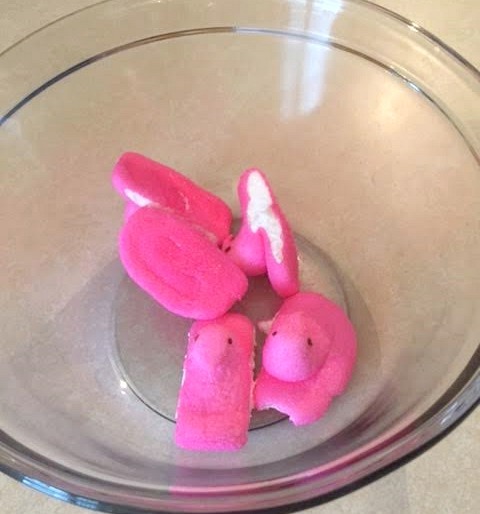 Add the peeps to a microwavable bowl. 2. Add in the coconut oil. 3. Microwave for 10 seconds. 4. Now add the powdered sugar. 6. 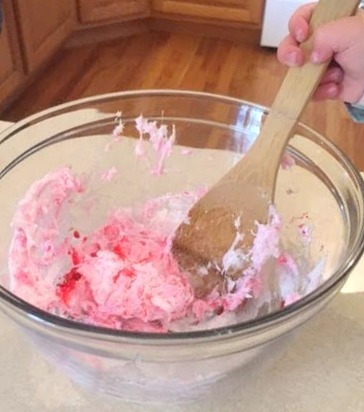 Add in a little bit of food coloring, if you want, to add a little more color. You can also add more powdered sugar if it is too wet and a little bit of coconut oil if it is still sticky. That’s it! Quick and easy, just how I like my crafts to be and my daughter was able to help with a majority of the process which she loved. 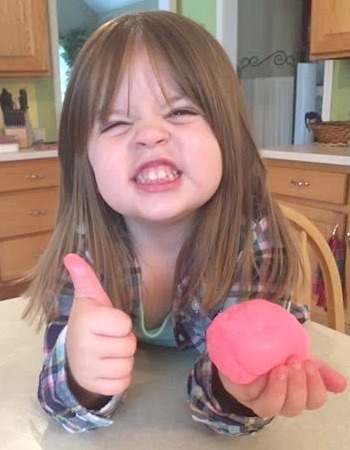 She also loved being able to play with it and it helped that playdough is one of her favorite things to play with. Oh and did I mention it is edible? Yep, so no worrying about letting even younger kids, my one year old son got to play with a little, play with some because it will be fine if they snack on it a little bit. Another awesome thing about this craft is you can save it for up to three days in a Ziploc bag in the fridge for more fun. 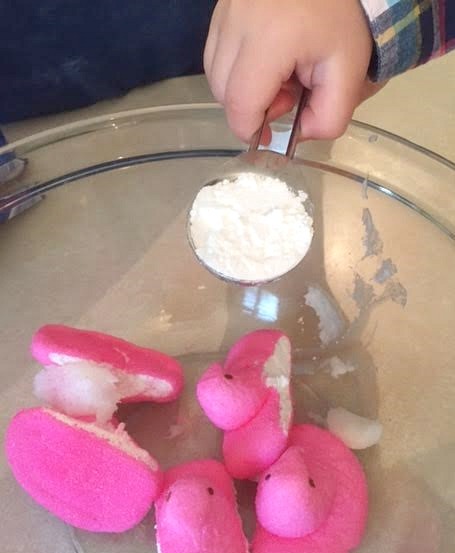 What are some things you like to do with your leftover peeps? 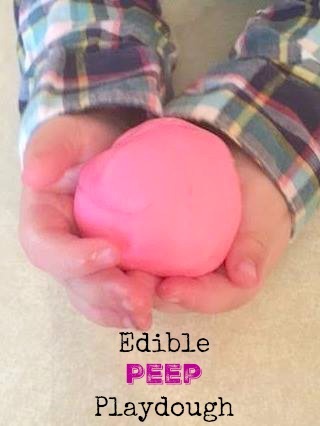 What color edible peep playdough would your child want to make? Also don’t forget to let us know if you try out this fun craft with your child! Share your experiences down below and any alterations you made to make the craft even more fun!